A person who is addicted to drugs is someone who is unable to control the compulsion to use, with drug-seeking taking precedence over everything else in their lives. 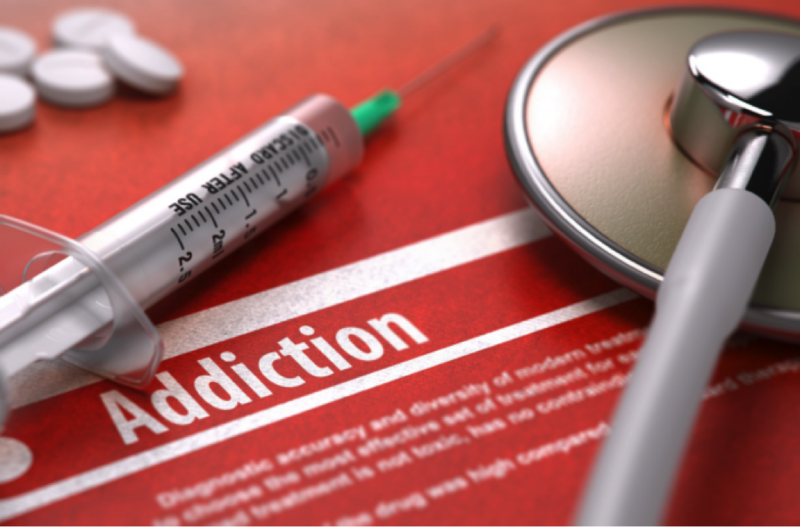 Addiction is an illness that affects the brain, leading to harmful and often dangerous behaviors and it can be extremely difficult to overcome without drug addiction treatment. It is also a relapsing illness, which means there is a high risk of returning to drug use after attempts are made to stop. Although initial drug-taking is a voluntary act and often part of a pursuit of pleasure, repeated and regular use changes brain function so that using becomes a compulsive act. This is because of the effect on the brain’s reward center, which becomes accustomed to being stimulated artificially by drugs. Over time, the body starts to crave the substance and its effects, with withdrawal symptoms emerging quickly after stopping using. When individuals find themselves in this addictive spiral, they are urged to seek professional help. Addiction is classified as a chronic illness, which means that it can sometimes take a lifetime to recover. Once a person has been detoxed from drugs, it does not mean they are cured. The majority of individuals need long-term residential or outpatient treatment in order to provide extra support to quit allowing them to fully recover their lives. What Are the Treatments for Drug Addiction? Cognitive behavioral therapy: This allows patients to identify the negative thought processes and behaviors relating to drug-taking so that they can change them with the therapists help. Family therapy: The way people in families interact with each other often has a considerable impact on the behavior of others. This can mean that an addictive loved one's issues can stem from problems within the family that need addressing in therapy. Many families are harshly affected by the behavior of an addicted loved one and this kind of therapy can provide healing for all parties. Motivational interviewing: This is a useful therapy for ensuring individuals stick to their program of change in recovery. Incentives and goals are set and positive reinforcement is used to motivate people to remain drug-free. Drug abuse is habitual and what may start as occasional use can eventually develop into addiction. The holistic approach to drug addiction treatment teaches individuals how to better manage other aspects of their lives outside of addiction. By changing what a person eats and how they overcome stress in their daily lives, they are in a better position to overcome the negative habits formed as a result of abusing drugs. For example, someone in a stressful job may have resorted to using drugs to unwind after a chaotic day. If they are able to use a holistic practice such as yoga or meditation to relax them instead, there is less potential for them to use drugs. Mindfulness practices such as these also provide individuals with access to a contented state that allows them to achieve a degree of serenity without the need for drugs. The holistic approach to addiction treatment is more popular than ever and regarded as extremely effective, particularly when used in conjunction with other medical and behavioral therapies. The main benefit of holistic practices is the variety of choice, which allows individuals to find their own path to recovery. For some people who have been taking drugs for a long time, holistic treatment represents a more gentle approach to rehab that is completely natural. Are There Drug Treatment Centers Near Me? Ultimately, the most important thing to consider before choosing a treatment facility is the needs of the individual with addiction. Some people feel they need the extra support of residential treatment in a sober environment supervised by medical professionals. Others are more concerned with keeping their lives as intact as possible while they receive the help they need. Fortunately, there are now a huge amount of resources available for people struggling with drug use, making it easier to reach out for professional help than ever before.